I am so happy to welcome March this week, with its bright burst of spring it is ALWAYS a sight for sore eyes. I am dreaming of all things warm, and there’s no reason not to revel in the new season quickly approaching; even though our weather might be still catching up. 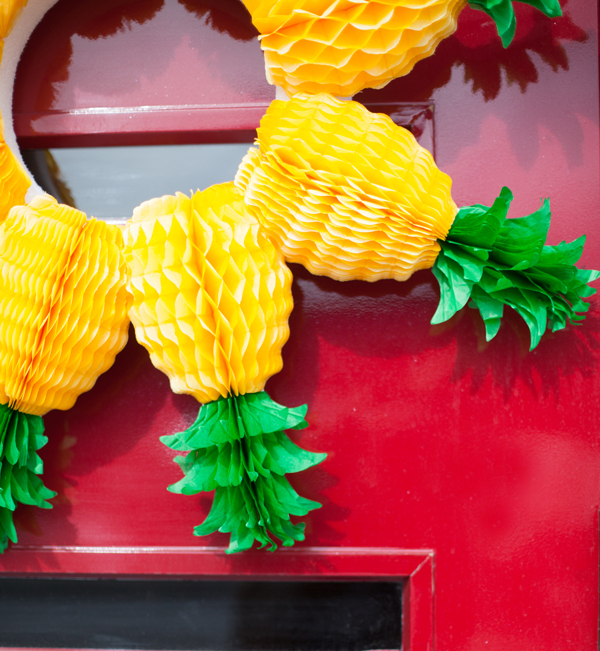 Brighten up the door, the wall, even the day by harnessing your best warm weather vibes and making this fun pineapple honeycomb wreath. It’s an amazing antidote for those lingering spring dreams. 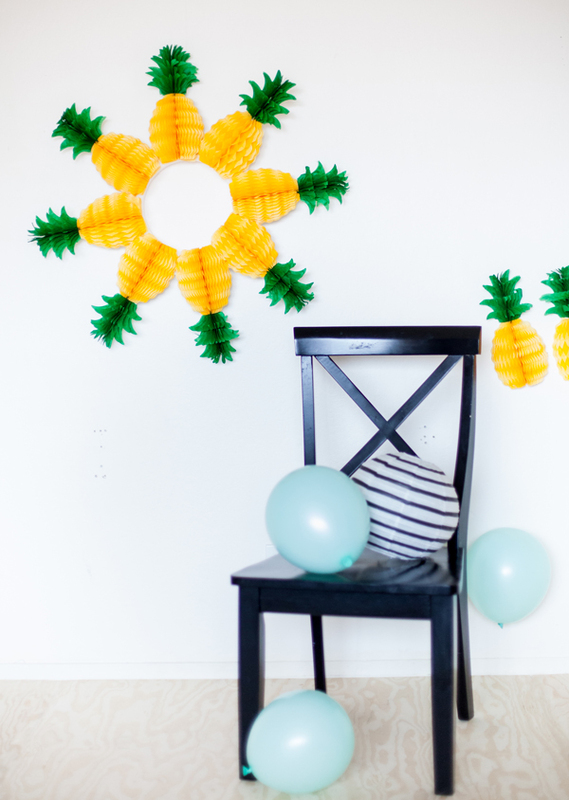 To make the honeycomb pineapple wreath you’ll need a bunch of pineapple honeycombs (affordable ones right here) and a foam wreath frame. 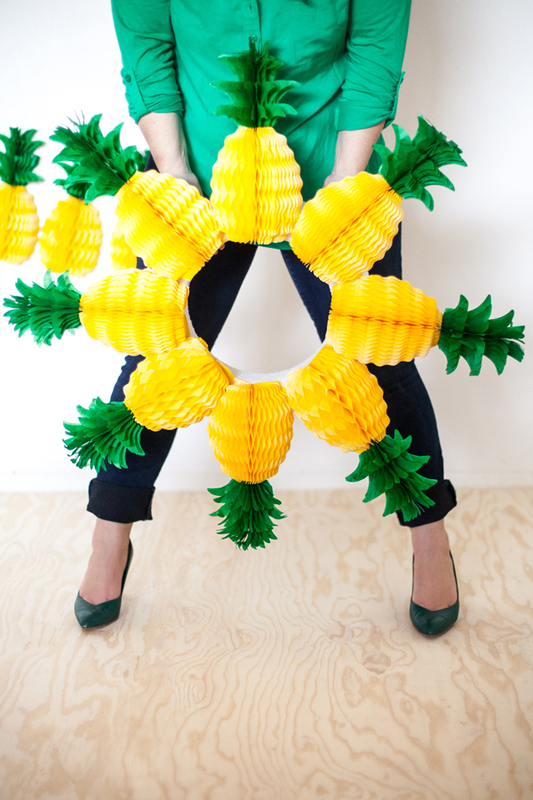 The idea could be created with any honeycomb you might want – limes, apples, or a fruit cocktail wreath would be fun! 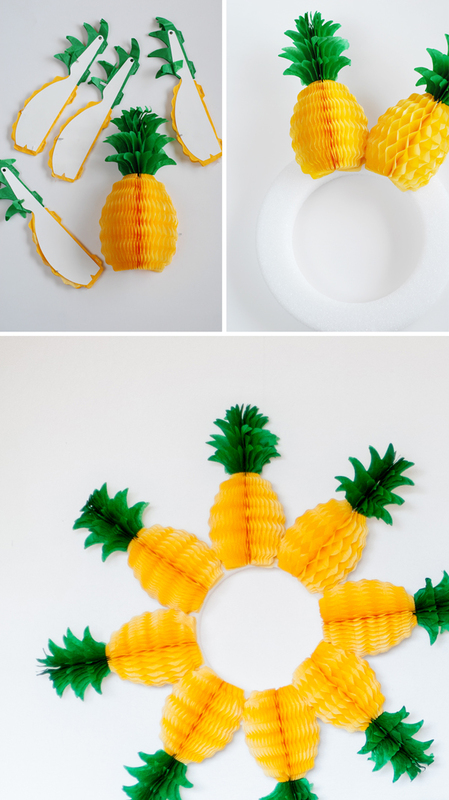 To create the wreath simply open the honeycombs and use hot glue to attach each one to the wreath form. Connecting the bottoms first and moving around the wreath. Hang with a length of fishing wire indoors or outside to welcome in the first sunny day of the season. 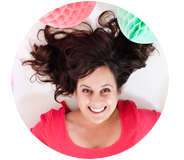 Photos done in collaboration with Jocelyn Noel Photography for A Subtle Revelry. 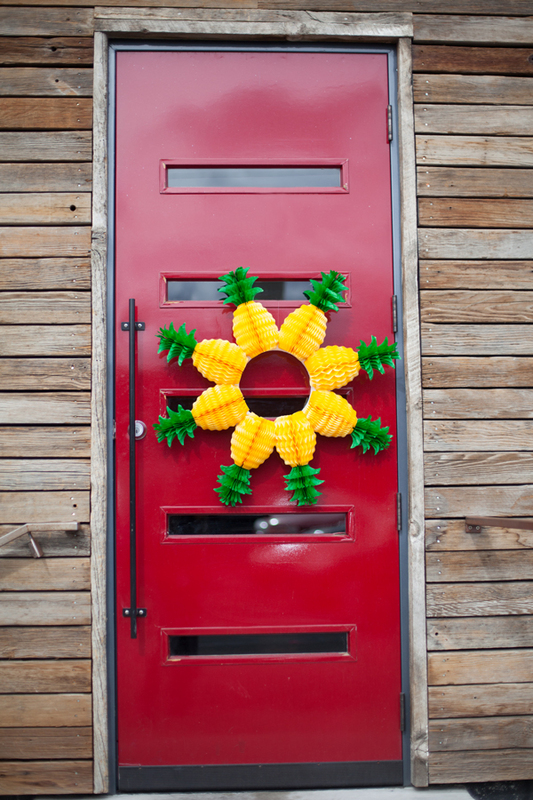 Find more bright wreaths right here.